Here at Jaguar Colorado Springs we currently have six luxurious 2018 Jaguar F-PACE Prestige SUVs in our inventory! If you are looking for a great mix of luxury, spacious interior, advanced safety features, and great advanced technology features, stop in to get to know the Jaguar F-PACE Prestige! Equipped with a 2.0L turbocharged engine, you can expect an estimated 22 MPG city/27 MPG highway – impressive fuel economy for an SUV. Plus, there are so many amazing features for you to enjoy on this F-PACE including sport heated leather steering wheel, navigation system, and heated power side mirrors. Your Jaguar F-PACE Prestige will also feature rain detecting intermittent windshield wipers, rearview camera, front and rear parking sensors, tire specific low tire pressure warning, and remote keyless entry. So, if it’s time to upgrade your current SUV, the brand new 2018 Jaguar F-PACE Prestige is a great option! 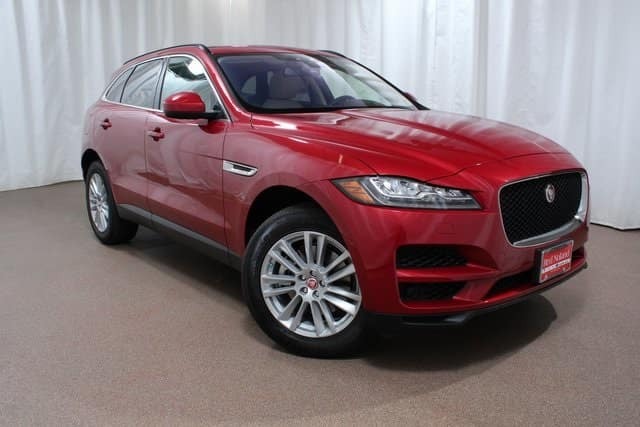 Stop into Jaguar Colorado Springs today to check out our full inventory of this exciting SUV. Then take a test drive of your favorite and experience how amazing driving can be!